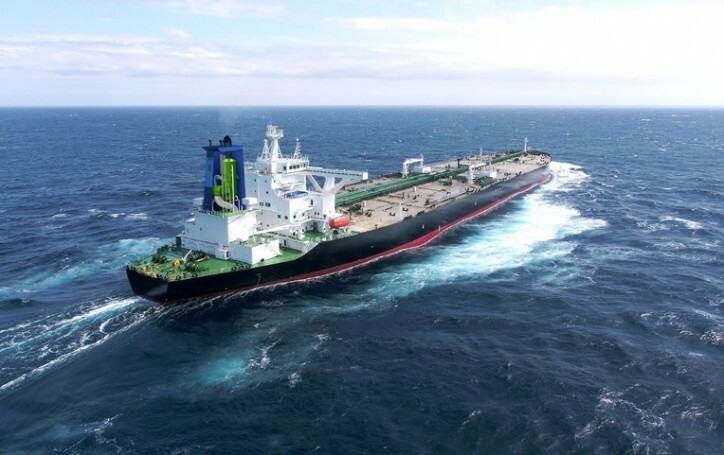 The international maritime shipping industry is increasingly using emission-reducing flue-gas desulfurization systems provided by Bilfinger. Following additional orders in recent months, the industrial services provider now has contracts for its scrubber technology with a value in excess of €100 million on its order books. This brings a total of 70 vessels belonging to national and international shipping companies in line with stricter future environmental requirements imposed by the International Maritime Organization (IMO) and the European Union. Tom Blades, CEO of Bilfinger: "Our scrubbers stand out for their low operating costs, excellent environmental performance and high system reliability. There is huge potential for environmental technologies, especially in the maritime sector. Bilfinger has decades of expertise in flue-gas cleaning. This enables our customers to continue safely operating their vessels in what is becoming a stricter regulatory environment." Since Bilfinger began transferring its power plant flue-gas desulfurization expertise to maritime applications around two years ago, orders received have come to around €102 million. According to the German Shipowners' Association (VDR), some 50,000 merchant ships are affected by the new sulfur emission limits. To meet the anticipated demand, the Group is already taking a closer look at potential fabrication partners for flue-gas desulfurization systems in China. Current customers include shipping companies from Germany and Greece as well as a shipyard in China. The orders come under the Technologies service line. Scrubbers remove sulfur emissions from flue gases produced by main engines, auxiliary diesel engines and boilers. The flue gases are introduced into the side of the scrubber and brought into contact with seawater. In the open-loop process, the seawater passes through a continuous scrubber. In the closed-loop process, absorbents are used. The hybrid technology uniting open-loop and closed-loop modes in a single system can be deployed in all oceanic regions the world over. As part of the closed-loop process, water from the scrubber is purified in an innovative water treatment unit and stored in a tank. Bilfinger supplies both open-loop and hybrid scrubbers. With its scrubber solutions, Bilfinger provides a full-service package taking in development, fabrication and maintenance. International shipping will face significantly stricter environmental standards in the future. Most vessels are currently propelled by heavy fuel oil containing up to 3.5 percent sulfur. In response to this, the International Maritime Organization (IMO) has reduced the permissible fuel sulfur content worldwide to 0.5 percent from 2020. Both the IMO and the European Union allow desulfurization to be achieved using flue-gas cleaning systems known as scrubbers. These reduce exhaust sulfur dioxide concentrations just as thoroughly as with the use of low-sulfur fuels (marine diesel and LNG), which are very expensive by comparison. Jens Borgschulte, Finance Director of the Technologies service line: "The scrubber is a virtually unrivaled product that pays for itself in just one to two and a half years. The strong demand bears out our successful technology transfer from the industrial plant sector to other growth segments."